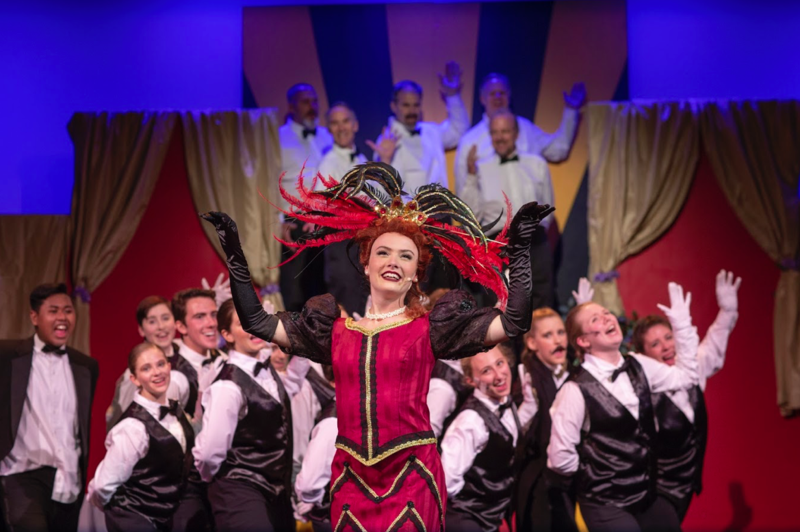 Iva Wich stars as Dolly in the Footlighters’ presentation of the musical “Hello, Dolly!” Photograph by Mark Washburn. 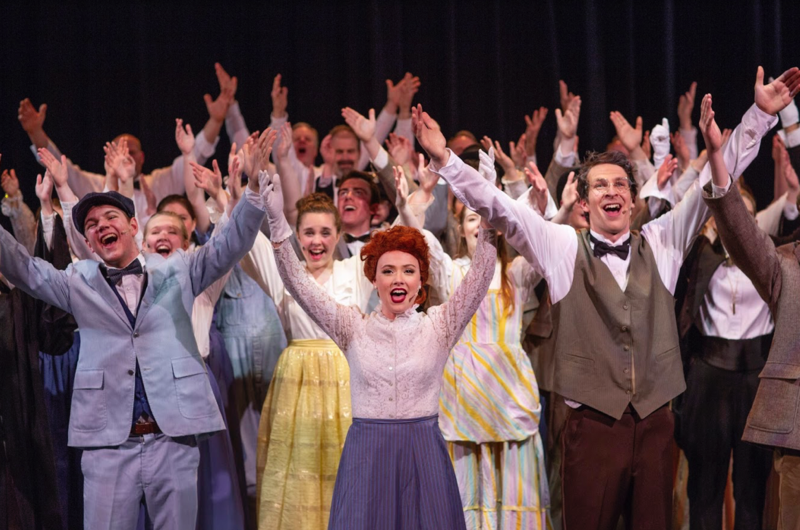 The Hanover High production of “Hello, Dolly!,” featuring songs by Jerry Herman and book writing of Michael Stewart, was a great interpretation of a classic musical. 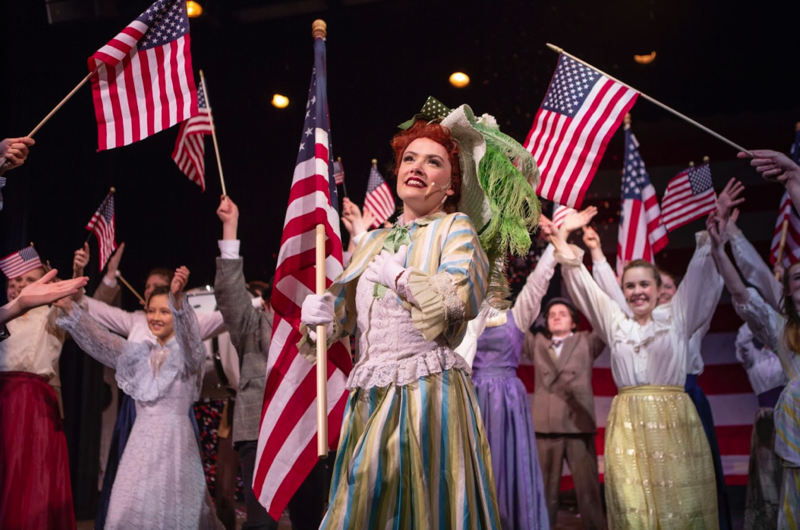 Its timeless humor and charming musical numbers captivated the audience, living up to its award-winning reputation. Actors executed phenomenal choreography as well as witty dialogue in the 1964 musical following the story of Dolly Gallagher, a brassy widowed matchmaker. Dolly, played by Iva Wich, travels to Yonkers, New York to help for Horace Vandergelder, the “well-known unmarried half-a-millionaire” looking for love. She ends up convincing a crowd of people, including his niece and her beau, to go to New York City, where she sets up two of Vandergelder clerks with a woman Vandergelder had been dating, and eventually marries Vandergelder herself. The props, costumes, and set were all adorably accurate to the time period of the story, and contributed to the overall classic tone of the production. 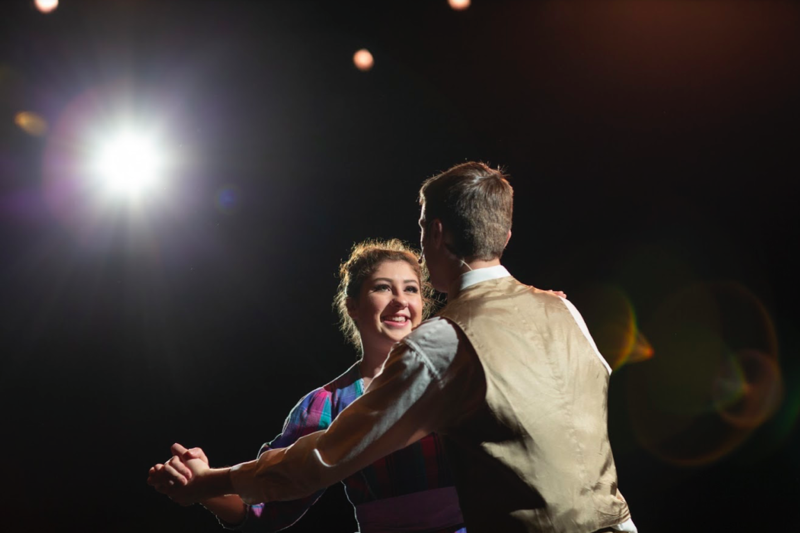 Hanover High’s cast and crew perfectly captured the humorous and romantic nature of the plot without delving into the slight sexist undertones of the time, and put on an overwhelmingly wonderful show worth seeing. The following pictures were taken at the production by Mark Washburn and contributed by Claire Washburn.